Gobble, Gobble! 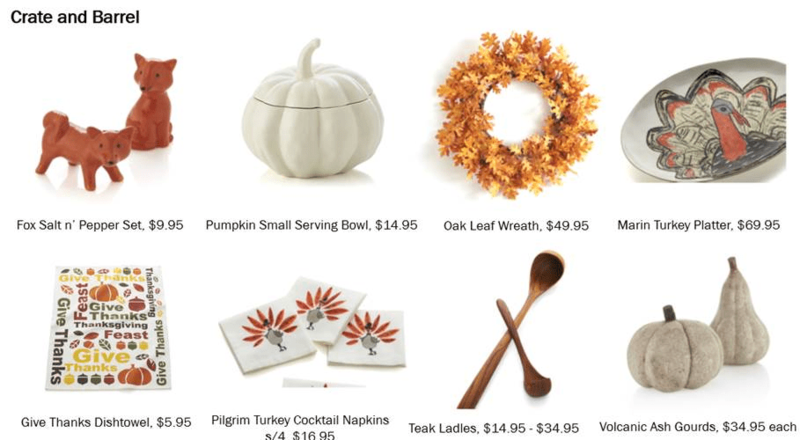 Turkey day is just around the corner and Crate and Barrel, CB2, and 11 Main have just what you need to give your fall décor a festive touch. Welcome your guests before they even reach the front door, with the Crate and Barrel Oak Leaf Wreath. 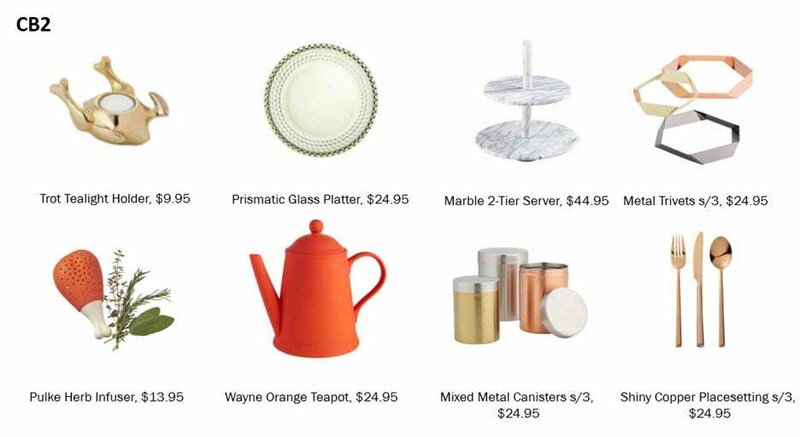 Top your table with feisty Fox Salt n’ Pepper Shakers from Crate and Barrel, the Richly Colored Harvest Turkey from 11 Main, or the CB2 Trot Tealight Holder. Serve your Thanksgiving feast in the Crate and Barrel Pumpkin Small Serving Bowl, on the CB2 Marble Two-Tiered Server, and with the 11 Main Set of 4 Silverware Holders. 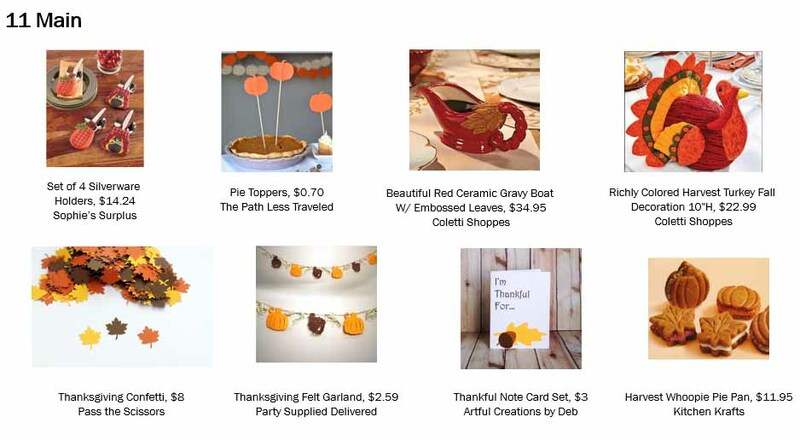 Be fall festive with the Crate and Barrel Volcanic Ash Gourds and 11 Main Thanksgiving Confetti.